Review all the documentation, fill it out and fax it to 1-619-938-7007. After CREDCO receives the documentation they will contact you to review the forms and let you know approximately how long it takes to be set up (usually 3 - 5 business days). If you have any questions, you can contact CREDCO at 800-694-1414. In addition to allowing you to print the enrollment documentation, this is the same window where you will come back after your application has been approved to enter your user name and passwords. 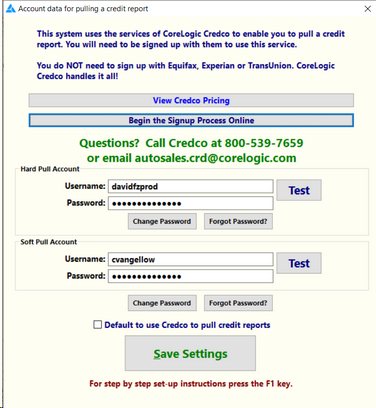 You should receive two emails from CREDCO with your account number, login ID and the password. The first time you use your new password you will want to log in to CREDCO first! At that point you will be prompted to change your password. This new password is what you will use to access Credco in Frazer. Use the Test button to make sure you have correctly entered the information. If you do not have correct information, a warning is displayed that includes the number for CREDCO Technical Support which is 1-800-423-1150.
Credit Reports can be accessed from the "Enter Sales" screen at the bottom. 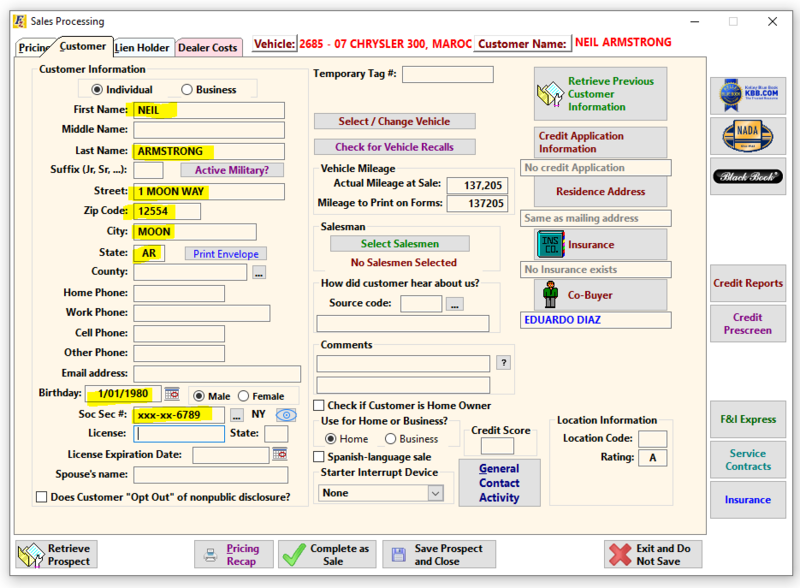 Once you've entered in your customer information click on the maroon "Credit Report" button in the bottom right of the screen. 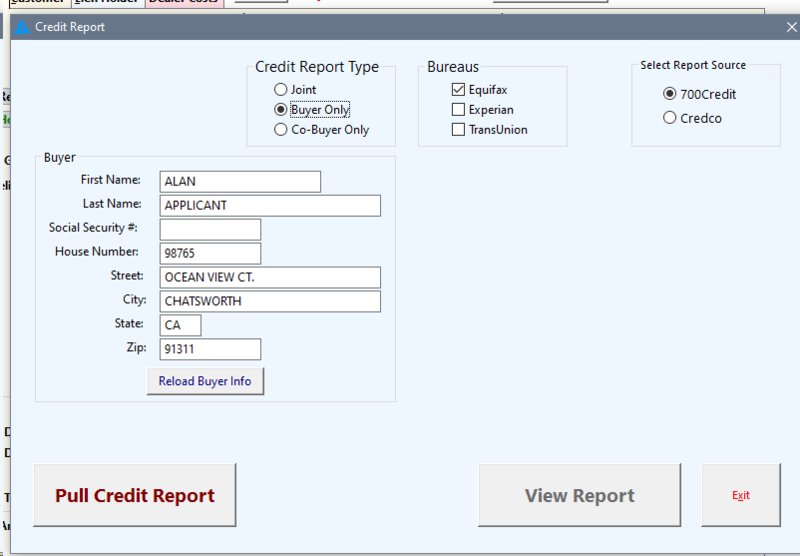 Once "Credit Report" is selected you will be prompted for which of the 3 bureaus that you would like to pull the report from. Once you've made your choices, click on "Pull Credit Report". This will give you access to the credit report.